What will be the best equipment for your rifle – a holographic sight or a reflex sight? This question is so common among rifle users and other shooters that many of them look for the truth from a detailed ‘holographic vs reflex’ discussion. I needed some getting used to the sights to understand the actual differences, but I’m trying to help you with the findings so that you may be able to choose a red dot or holographic sight wisely. Hopefully, both sights will be easy to understand and use after you’ve finished reading this article. So, we need to understand the difference between reflex and holographic. The holographic and reflex sights are keeping many different grounds which are further designed for different types of rifles. Each has some special qualities that are being recognized by the users. Moreover, there is a slight difference between reflex and holographic sights. Further, the two are also interchangeable somewhat. By the end of this extract, we will be able to understand better the key similarities and differences between the two weapon sights. Basic definitions and functions of both sights have been presented below. 1. How Does a Holographic Sight Work? Holographic sights are known as Holographic Weapon Sights and Holographic Diffraction Sights. The objective of using them is same as those of a reflex sight. However, there’re some technical differences. None of the holographic and reflex sights are termed as laser sights. This sight is made for two basic concepts, such as Synthetic Radar and Holography (photography without a lenses). Furthermore, the holographic sights use a reticle picture that is fixed in between the glass layers. The small and rectangular field of view will allow you more accurate shooting all the time. EOTech is occupying the patent for holographic sights, which is very precise and accurate along with easy to use. 2. How Does a Reflex Sight Work? Reflex sights work on mirror-like lens with an aiming point that allows you to see the red dot in the back reflection. With this feature, this sight is also known as an exposed reflex sight with a distinct look. One of the biggest advantages of the reflex sight is that you can place your head anywhere because of the lack of eye relief. 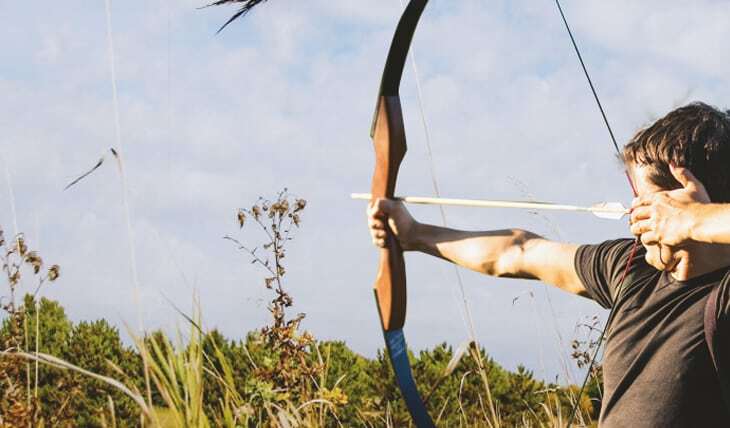 While using the weapon, you can keep your eyes open which makes it easy to regain the target. Moreover, reflex sights are very useful for different types of weapons for home defense, hunting, and for any kind of general shooting. 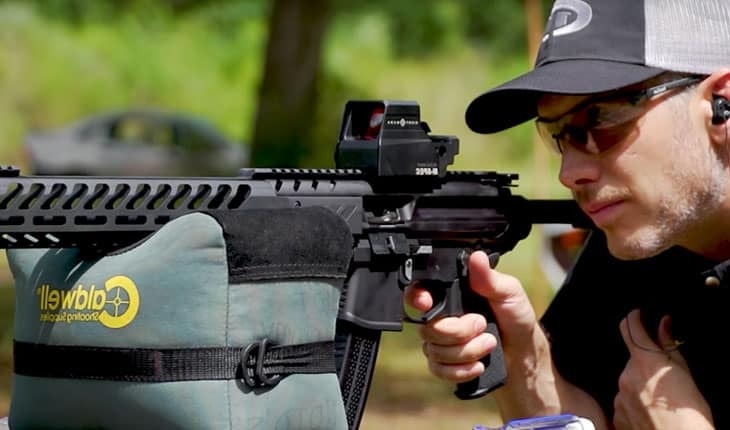 Which is best – reflex sight vs holographic sight? Therefore, it is an ideal sight for average rifle users. The two sights differ when it comes to the projection systems. You will see LEDs with an objective lens. The mirror is used to reflect the light from the LED back to the vision of the shooter. Both holographic and the reflex sights formulate a reticle in the sight window. This way, the objection becomes very clear and accurate because the red dot lens reflects only the red wavelength for the LED. Both the sights do not have the same magnification abilities when it possessed by other optics. Whenever you zoom in the target, consequently, the size of the dot will also be get enlarged and it will be a little closer. However, because of the big size, it may cover the aiming point easily. On the other hand, the target will appear a bit close in holographic sight, but the dot or the aiming circle will have the same size. Therefore, it helps the shooters to maintain visual acuity when they try long-range shoots. Furthermore, field of view is a very crucial concept while practicing the familiar telescopic sight. You can find the target with a wide field of view. 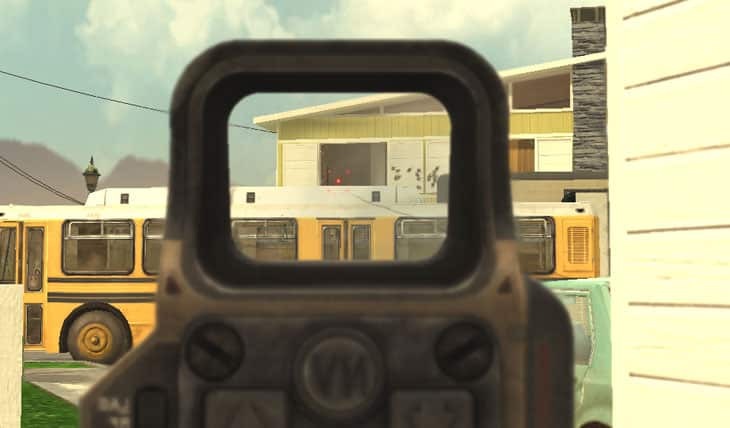 As you’re reading holo sight vs reflex sight discussion, the electronic sight is providing a reticle that is superimposed on your natural (FOV) field of view. When you are too close to the sight, you will witness a small blind point, where the body of the object blocks the view of eyes. The reflex vs holographic sight uses different reticles based upon the versatility nature of both. Moreover, the reticles of the reflex sights create more colors and always better than that of its competitor. You can experience this while using a reflex sight. Most importantly, the reflex sights are much flexible to take the shape of any object. It can adopt a circular shape, rectangular shape, points, crosshair etc. Therefore, it is more versatile than that of holographic sights. In holographic sight, the laser and mirror diodes work jointly and impose the holographic reticle on the window of the shooter. The advantages and disadvantages of these sights are critical to the reflex vs holographic discussion. Reflex sights are the least expensive and most common sights. You may confuse reflex sights with red dots, but they come in three sub-categories. You may have issues changing the lens colors and other settings. Holographic sights are more expensive than reflex sights. These sights present quality viewing experiences. The term co-witnessing denotes the ability to use any of the optical sight or iron sight. Looking through the lower part of the electronic sights, you will be able to use the iron sights. Co-witnessing will give you a dispensable sighting system if any of them get failed or you forget to change the electronic sight. The process of zeroing can be done with the same technology that is used for a regular scope in the holographic sight vs reflex sight. Only the single difference that you can see is that you generally do not have the crosshairs to use it as a visual guide with an aim to leveling the sight. Frankly speaking, the holographic sights are much superior to that of reflex sights. But you will have to pay a lot for the quality. Holographic sights are best for combat situations with water and dust resistance. Moreover, the targeting accuracy is another factor to go for the holographic sights, when you need pinpoint accuracy. Finally, we are summing up the discussion on holographic vs reflex with some beneficial facts out. Reflex sights are what you expect from the red dot sights. A single pane of plastic is very effective and simplistic. Therefore, you can prefer either holographic or reflex sights as per your needs. 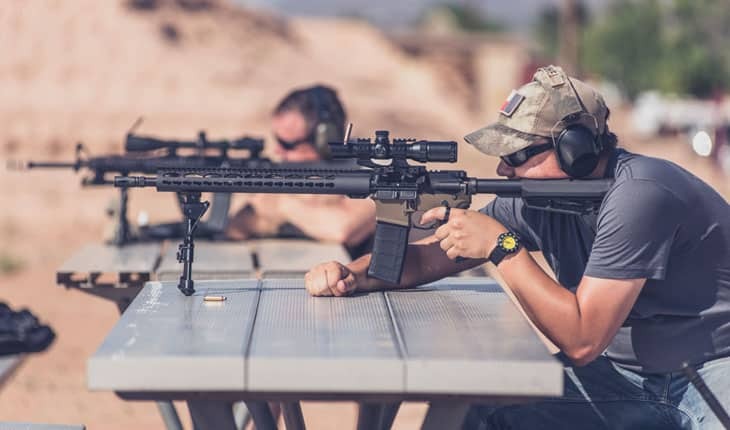 Various types of benefits and disadvantages are listed in the article and you can choose the option that matches the best of your rifle requirements.